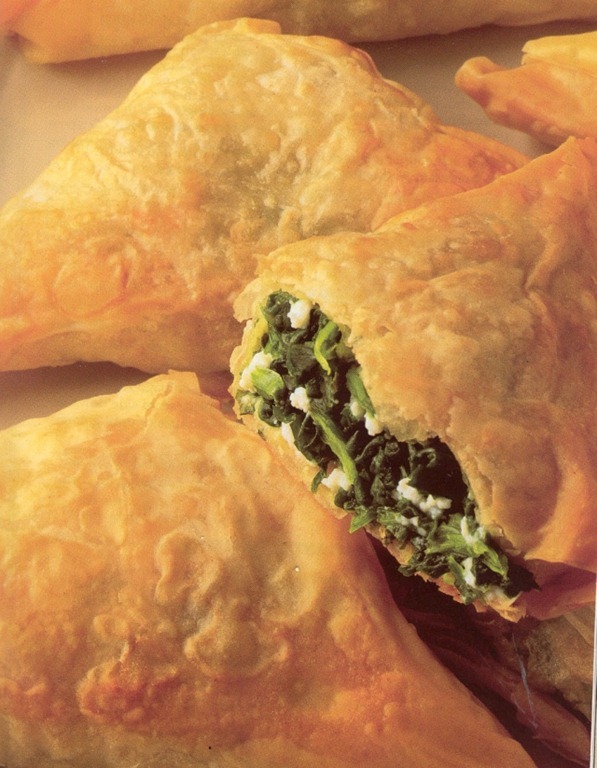 Make the spinach triangles no earlier than 4 hours in advance, place in a single layer on a tray and keep, covered with plastic wrap in the refrigerator. Bake just before serving and serve while hot. You can also change the filling according to your liking and taste. Preheat oven to 210 degrees. Brush two oven trays with melted butter or oil. Heat oil in a wok and add onions in it. Cook over medium heat for 3 minutes or until soft. Transfer the onion to a large bowl. Cook spinach in a pan covered with water till its soft. Drain and set aside to cool. Add drained spinach in a bowl with onions. Add cheeses and mix well. Add egg to the mixture and combine well. Season with salt and pepper. Cut each pastry sheet into 9 pieces. Divide spinach mixture evenly among the pieces. Brush edges with egg. Fold pieces over to form triangles. Brush with beaten egg. Place on trays and bake for 15-20 minutes or until golden.